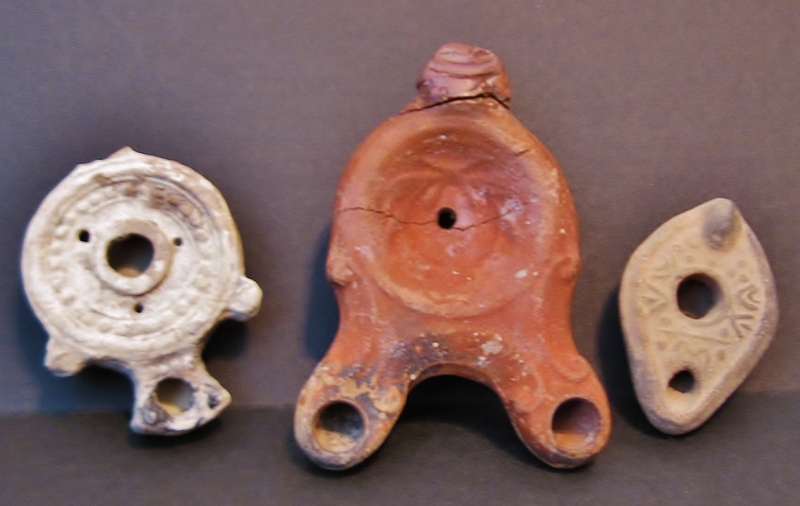 Ancient Roman pottery oil lamps offer antiquities collectors the opportunity to specialize in a very specific area of collecting. The range of different types, ranging from black glazed Hellenistic-inspired types in time of the Republic through the North African and Syro-Palestinian types with Christian-inspired decoration during Byzantine transition, span a period of some 5t00 years. The range of ceramic fabrics, decorative schemes, shape variations and maker’s marks seem virtually limitless, and local lamp production took place in every region of the Roman Empire. 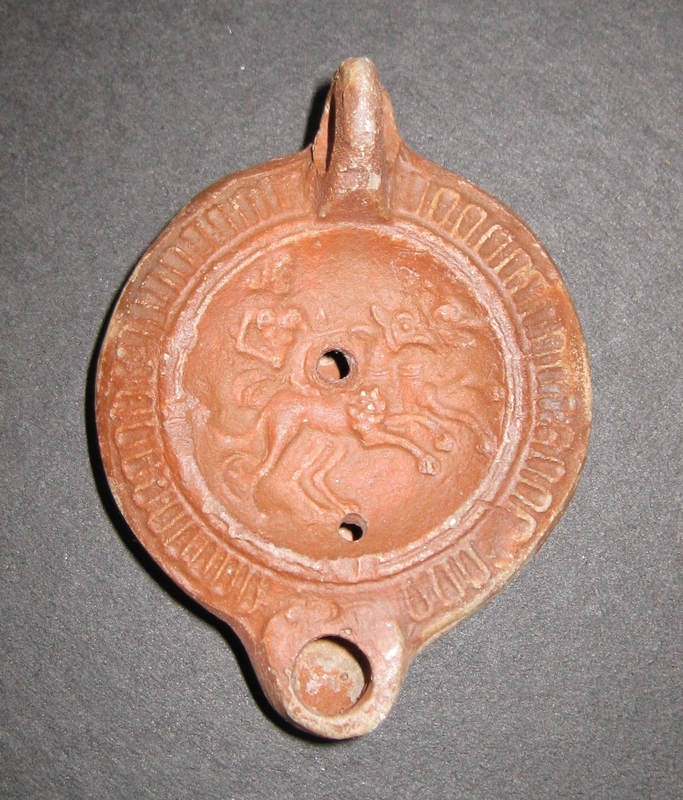 Some ancient oil lamp collectors specialize in the so-called “Factory Lamps” from Gaul and Italy in the 1st Century CE, others in the profusion of low-fired unglazed pottery lamps from the greater Levantine region, including, Samarian, Jewish, Roman-imitative and early Christian types, as well as Byzantine and early Islamic examples. Still other collectors focus on the long history of decorated red slip ceramic lamps of the North African provinces, especially Tunisia. 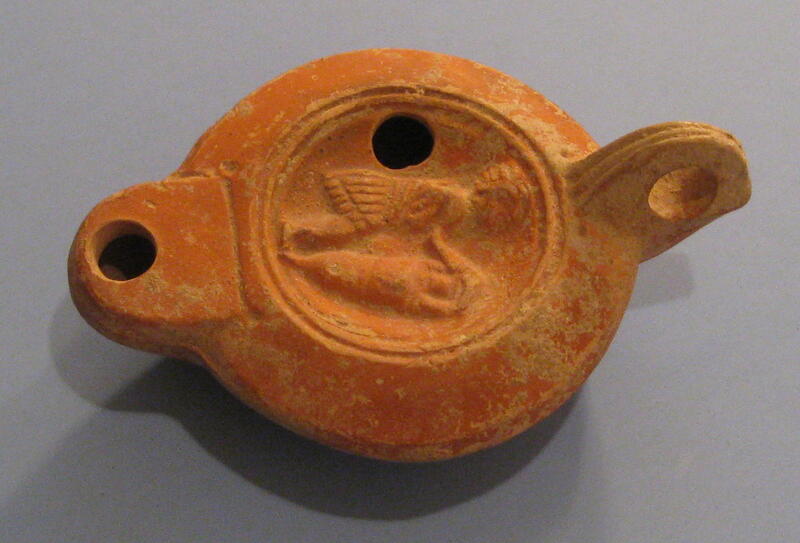 Oil lamps are of great value to archaeology, as well. With their well documented maker’s marks (and copies of these, much like cheap knock-offs or counterfeits of major brands today) and styles, lamps recovered in context offer valuable dating evidence. They also provide many clues to the movement of goods and people over time. Prior to the introduction of modern laws governing the export of antiquities from most Mediterranean countries, that is, prior to the 1960s and ’70s, great numbers of ancient Roman lamps were collected. While a great many have since been donated to public art museums (this author has donated several examples to museum collections), there is still great availability. Fine quality examples, often with meaningful decoration on their discoi, are still undervalued in relation to other areas of the art market. Clio Ancient Art offers many examples for sale at reasonable prices, including examples of all the types mentioned above. A few examples are shown below, with links to those pages.